Fantastic location just across the street from the Puddle Jumper pool on Stapleton's south end. 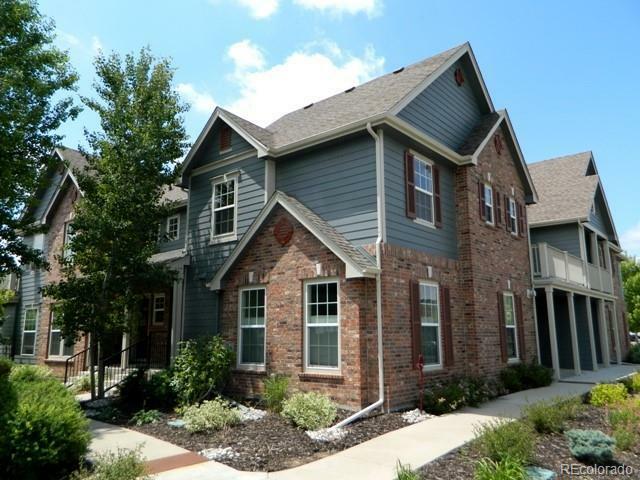 The largest and one of the most popular floor plans (Gaylord) from the builder in this neighborhood. Enjoy two outdoor spaces, one large patio off of the great room with a view of the pool park, and another private patio off of the master suite. The Master Suite features lots of space and master bath featuring double sinks, oversized tub/shower, and walk-in closet. Expansive great room with vaulted ceilings, fireplace, and library/office area with multiple built-ins. The loft area can easily be converted into a third bedroom. This home lives large and is close to the Stanley Market Place, pools, trails, parks, and multiple schools (Bill Roberts, Westerly Creek, and DSST). Offered by Tjc Real Estate.